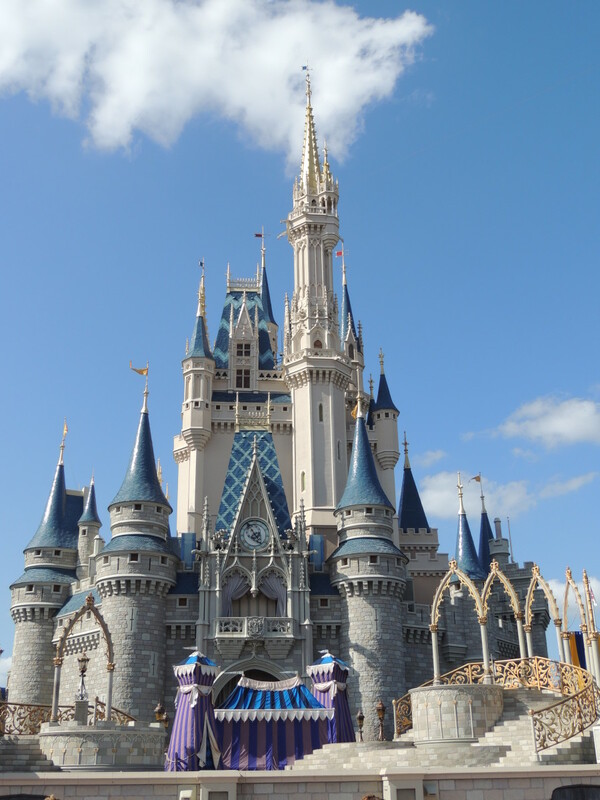 For our family vacation this year, we decided to drive to Walt Disney World in Florida and to rent a cabin in the Smoky Mountains on the way back to Illinois. 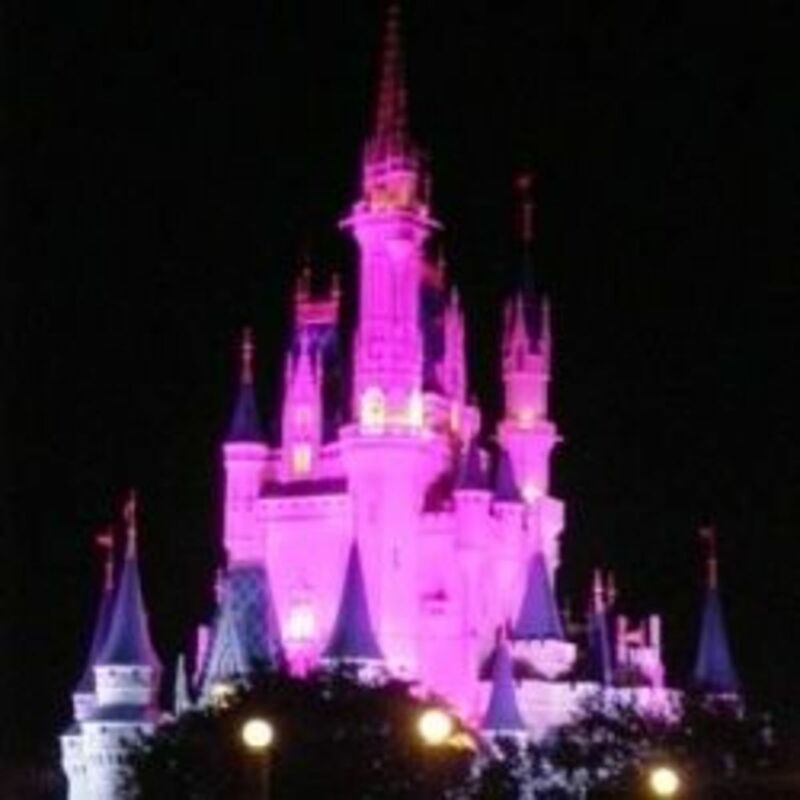 The Florida portion of our trip allowed for time to spend at Epcot, Magic Kingdom, and Hollywood Studios respectively. 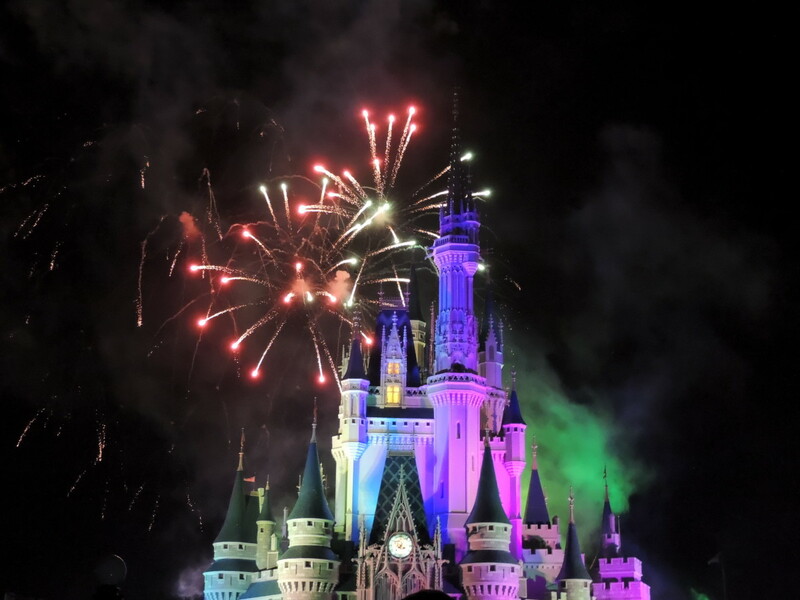 We knew that we wanted to spend a whole day at Magic Kingdom so we could go on as many rides as possible and see the Nighttime Spectacular fireworks show by the castle to end the night. My kids enjoyed this park the best. 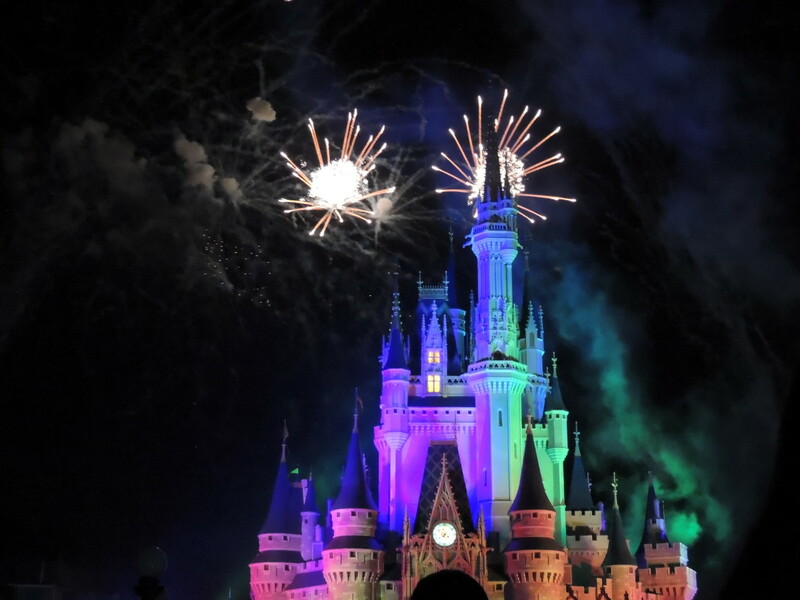 There are so many different rides and activities at Disney’s Magic Kingdom that you could easily spend a few days to a week to see them all. 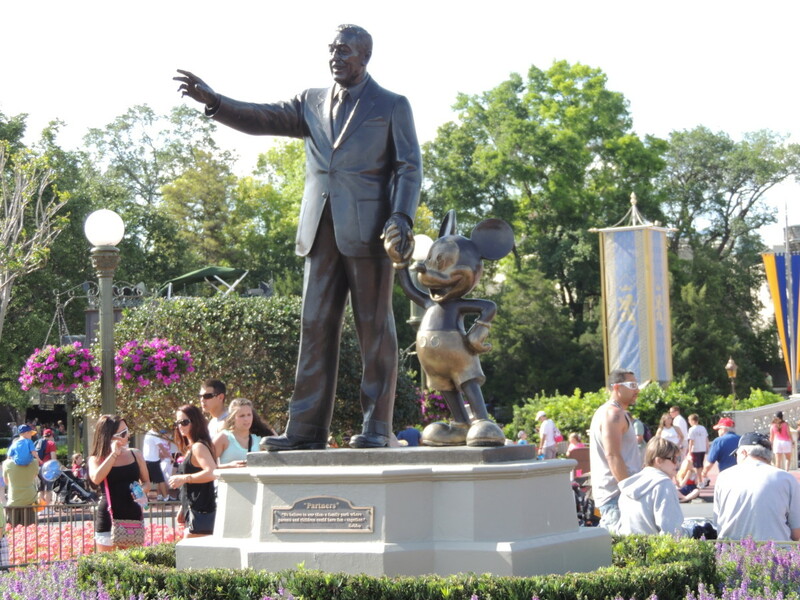 Disney's Magic Kingdom is divided into six main areas: Adventureland, Fantasyland, Frontierland, Tomorrowland, Liberty Square, and Main Street USA. Here is my list of the top ten things to do there. My kids and I absolutely love trains and will try to go on a train ride whenever possible. 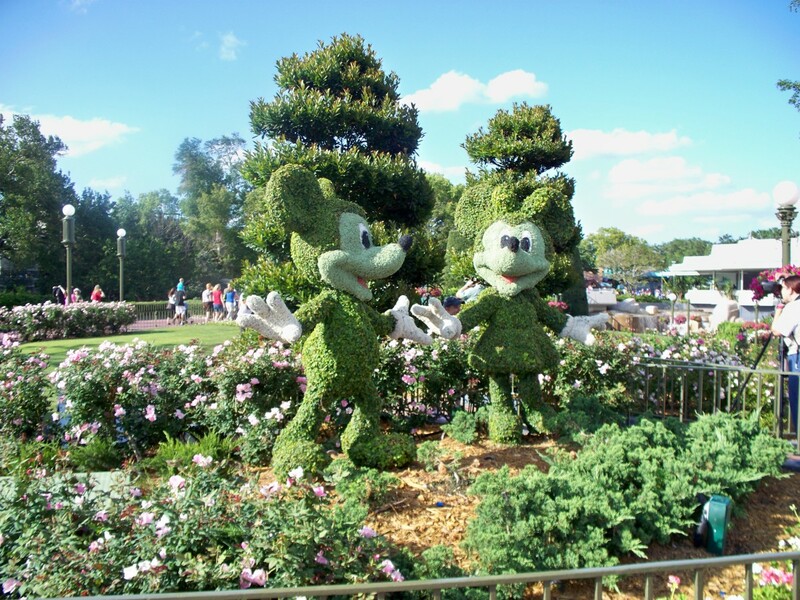 The Walt Disney World Railroad offers a relaxing ride around the park. 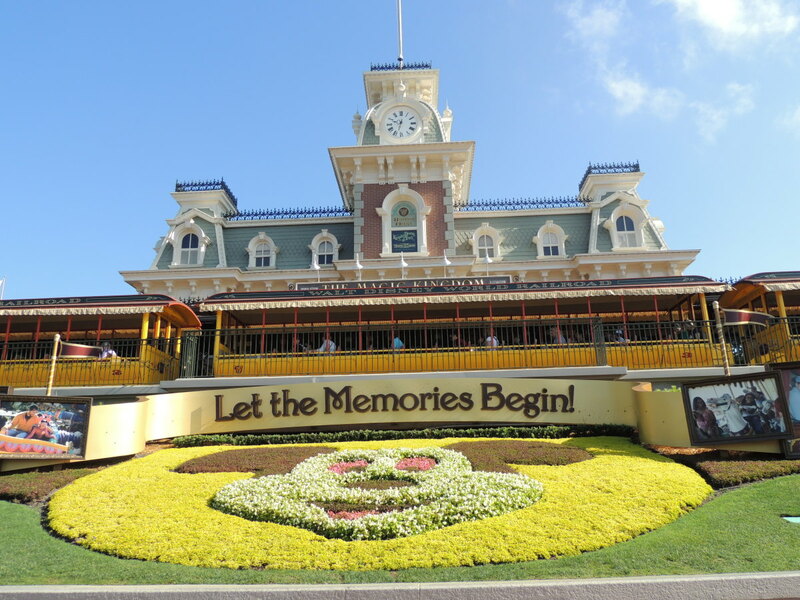 The train is also a great way to move from one part of Magic Kingdom to another. 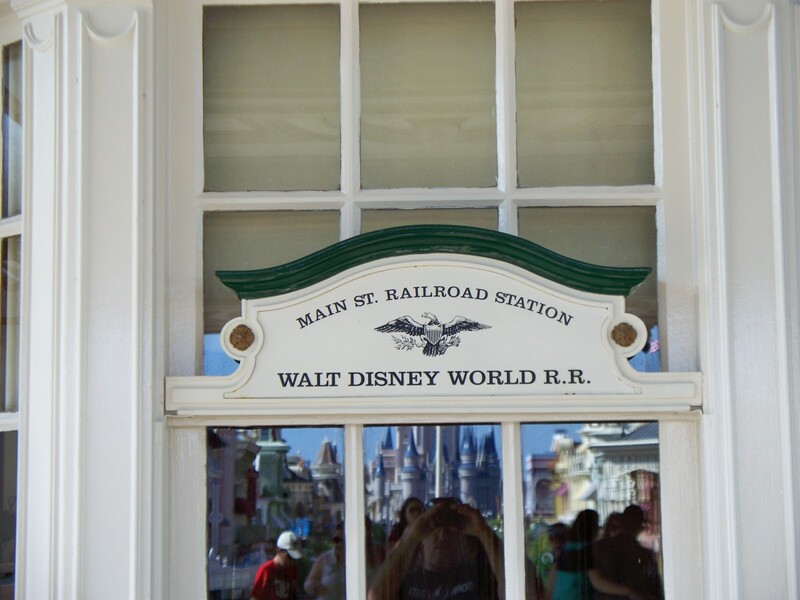 There are train stations located at Main Street U.S.A., Fantasyland, and Frontierland. The one thing that I did really like is that there were four trains running so that you would not have to wait more than 5 or 10 minutes to catch one. 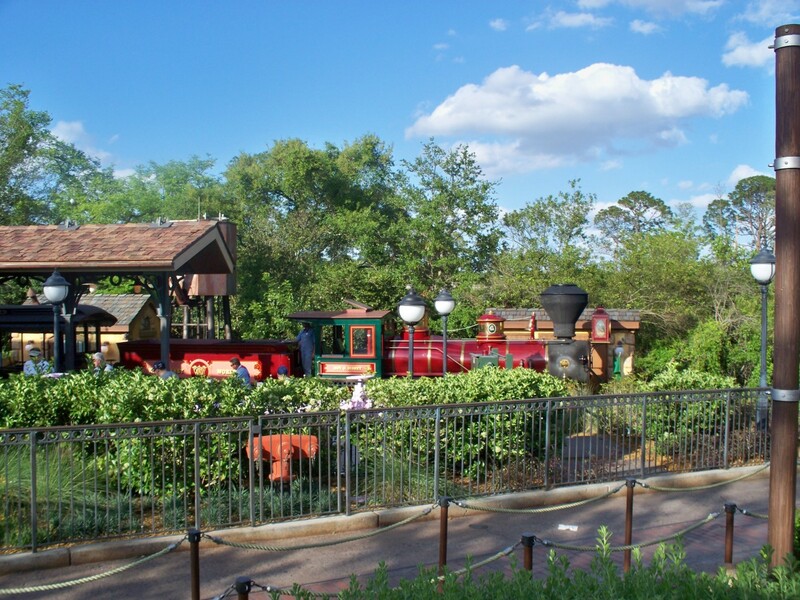 The cool thing is that the Walt Disney World Railroad offers a chance for kids to ride on a train pulled by an authentic steam engine, which is very rare nowadays. It may not be the most exciting ride at the park, but it was nice and relaxing way to start our day. 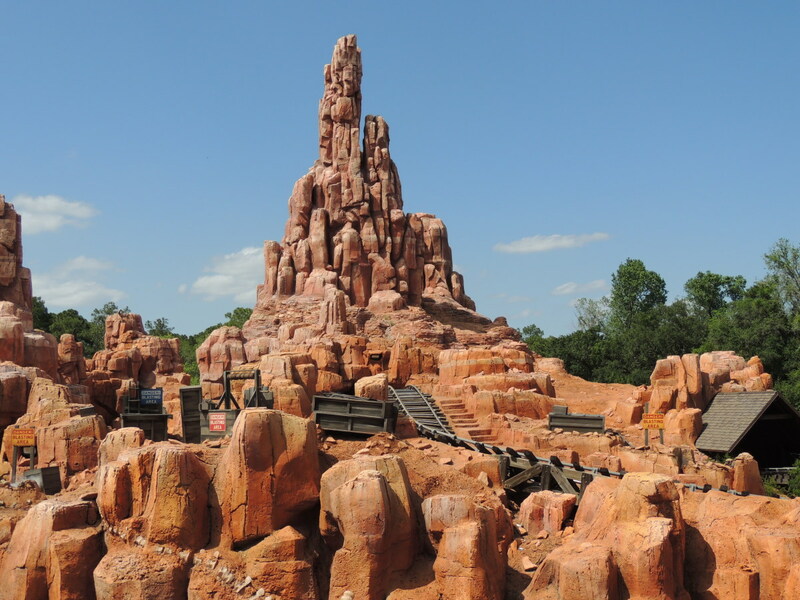 Let us stay with the train theme for the next great thing to do at Disney's Magic Kingdom and look at the Big Thunder Mountain Railroad located in the Frontierland area of the park. It is a roller coaster designed so the whole family can enjoy it together. The ride goes fairly fast, but there are not any loops or corkscrews on it. 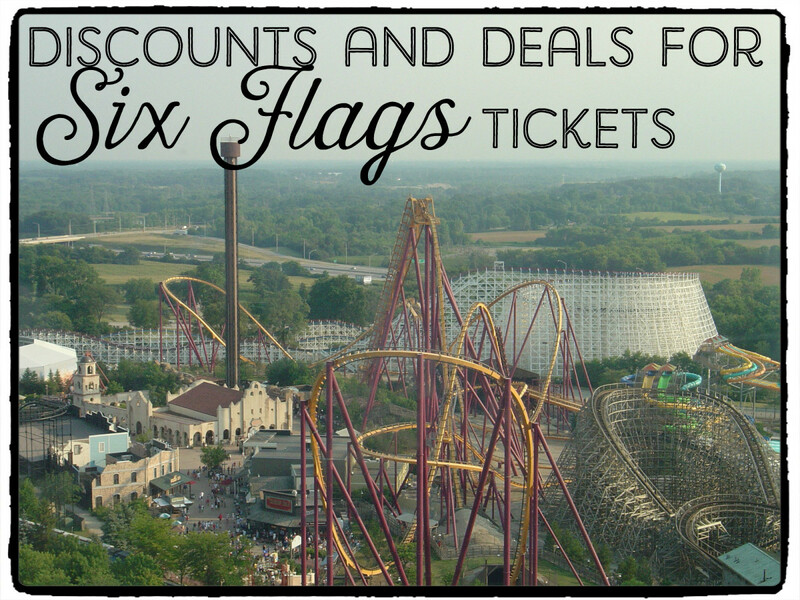 I would not compare it to a leading edge rollercoaster, but it is still a fun ride. My youngest son was not sure about it as we were waiting in line, but really liked it when he was done. As you climb aboard deep inside the mountain, you quickly climb and begin your descent that will take you through caves, canyons, and under a waterfall. 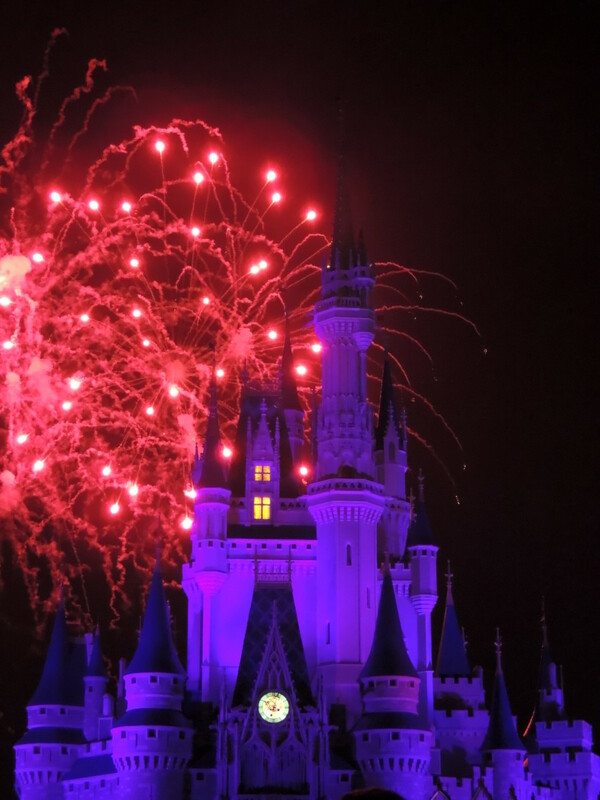 I would highly recommend obtaining a FASTPASS for this ride as it does get busy. 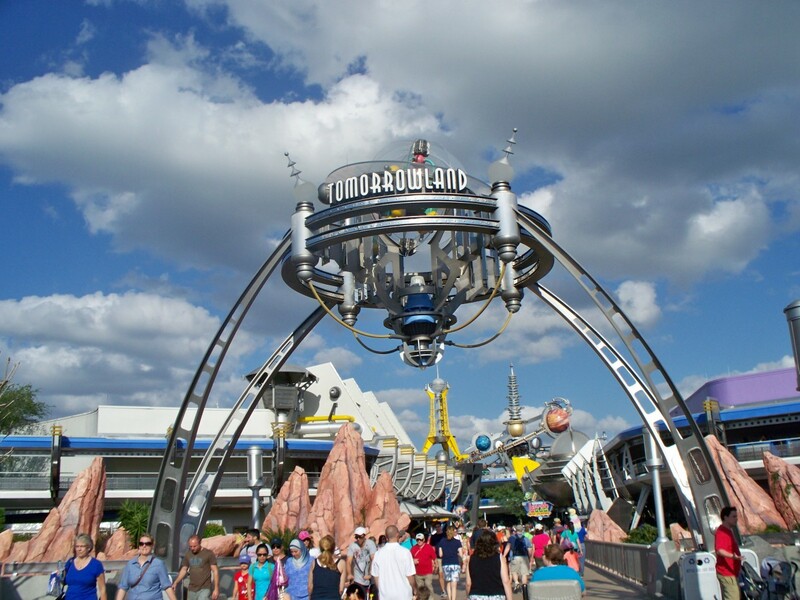 Space Mountain is one of the most popular rides at Magic Kingdom and located in the Tomorrowland area of the park. The ride starts off with a steep 180-foot climb through a tunnel with pulsating lights. 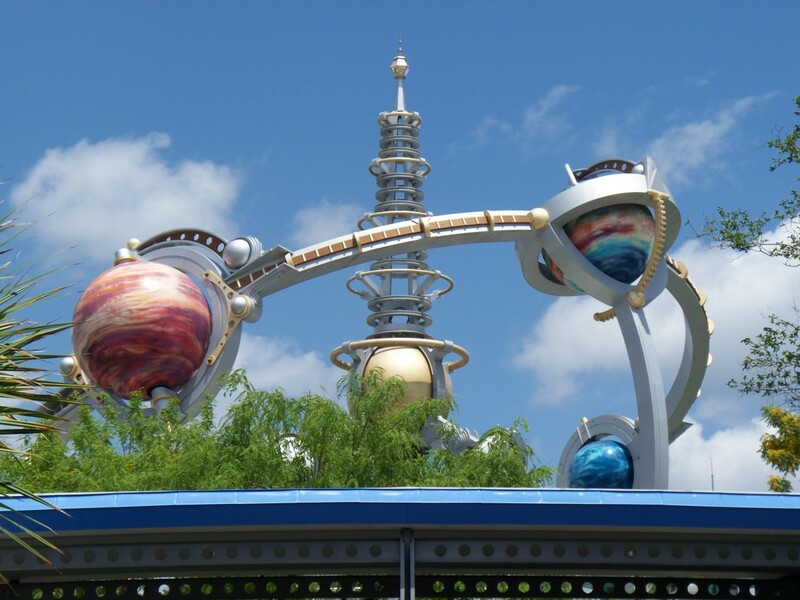 Once you reach the top, you rocket through space and experiencing the pull and push of gravity along the way. The coolest thing about Space Mountain is that actual astronauts helped to design this ride to make it more authentic to real space travel. 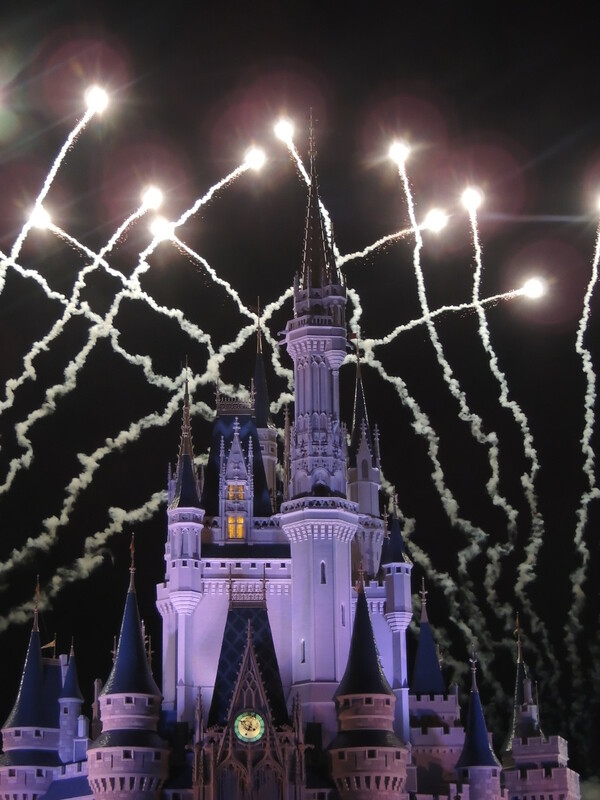 Be sure to grab a FASTPASS early in the day so you do not have to wait a long time. My youngest son was not tall enough to go on Space Mountain, so this is something we will have to do on our next visit to Walt Disney World. 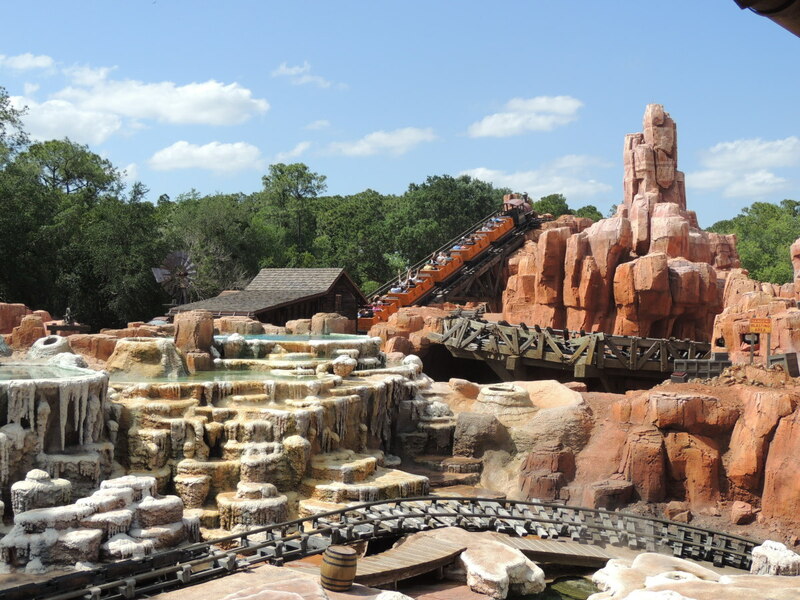 On a hot day, you cannot beat a ride on Splash Mountain at Disney's Magic Kingdom in the Frontierland area of the park. Where you sit will depend on how wet you get. If you want to get soaked sit in front of the log car or if you want to stay dry sit in the back of the log car. Either way, you will get wet. This is not any ordinary log ride like the one at the Mall of America in Minneapolis. 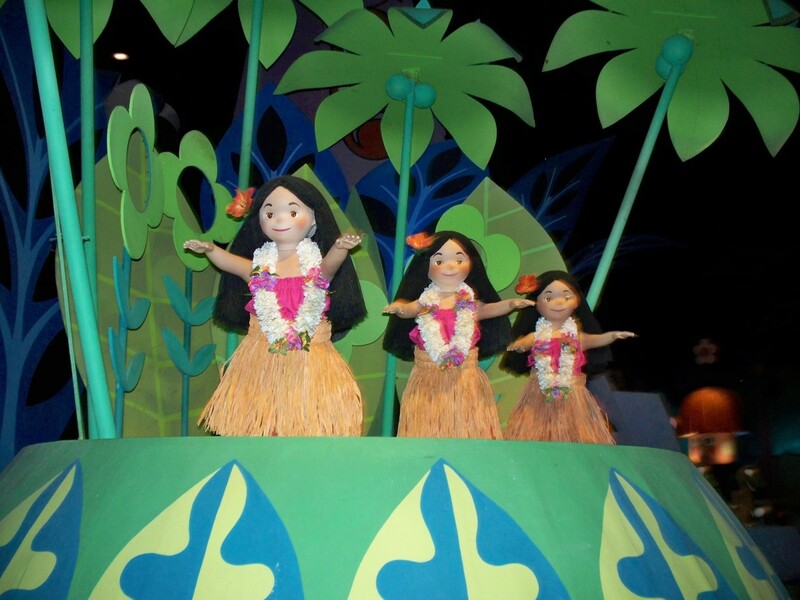 Splash Mountain invites you to sing along to classic Disney songs as you make your journey. 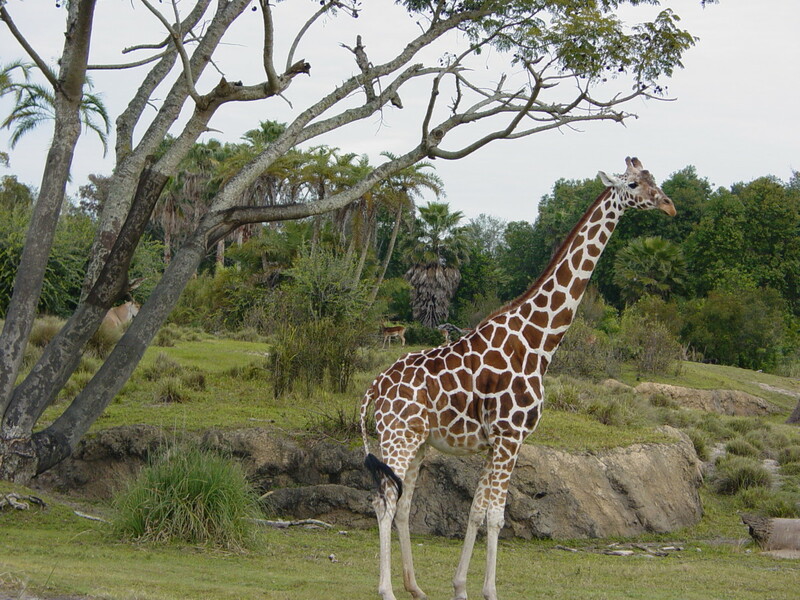 You will also get to meet several different animals along the way. The best part is that there are 3 dips and a 50-foot waterfall to fly down. 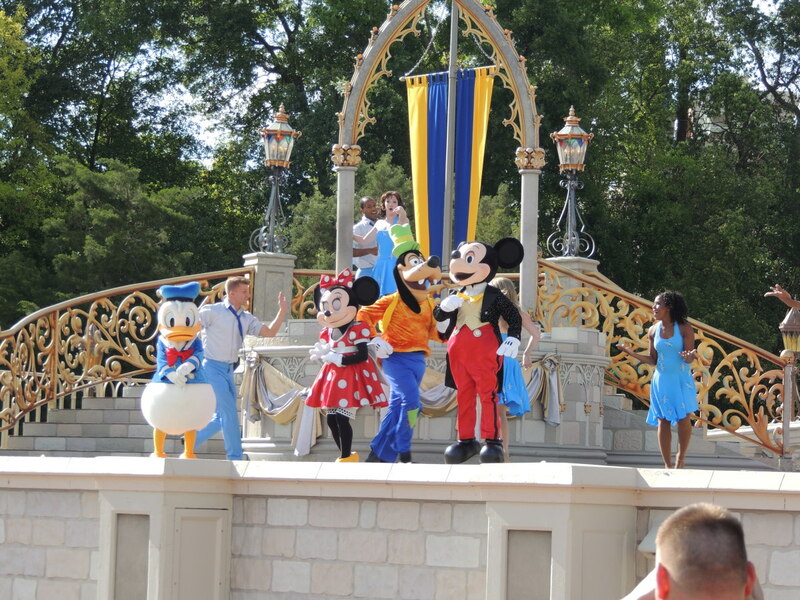 FASTPASS is a great idea for this ride, especially on hot and humid days. 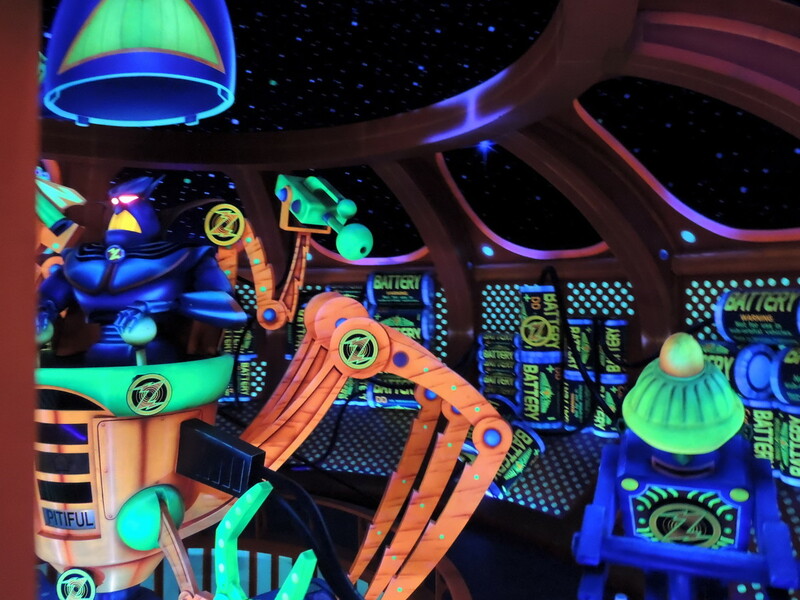 Buzz Lightyear’s Space Ranger Spin is a fun and interactive ride. 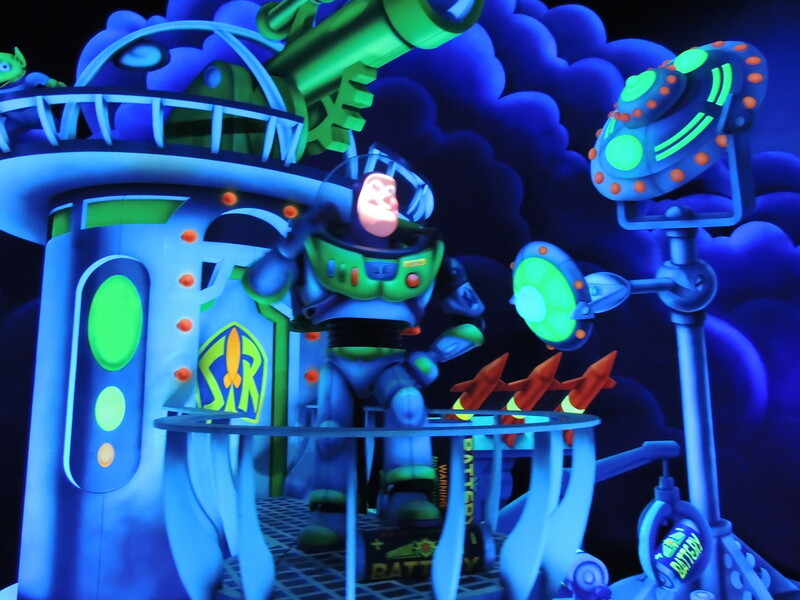 Your job is to stop Evil Emperor Zurg from stealing batteries by shooting targets as you slowly roll by them. 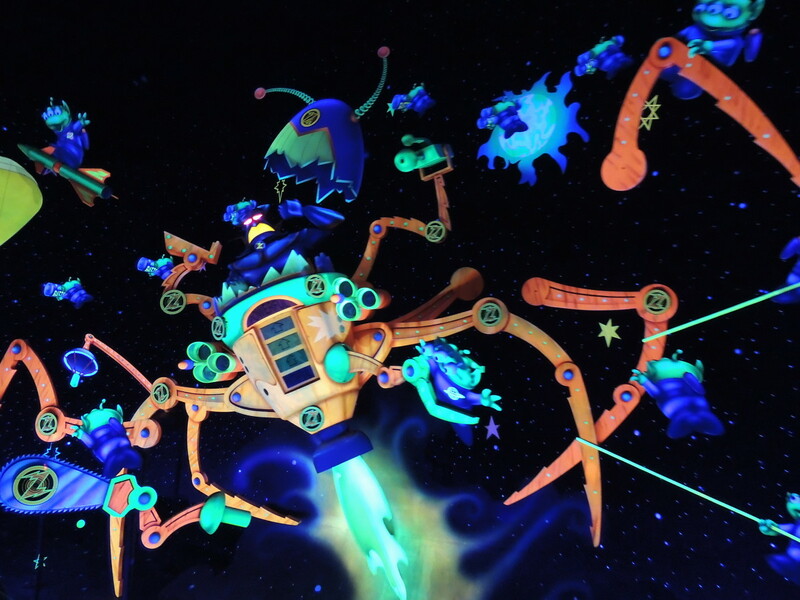 The ride is called Space Ranger Spin because you have the control to spin your ship at will and select which targets you wish to shoot at. One tip that I can give you is that the harder the target is to hit, the more points that it is worth. 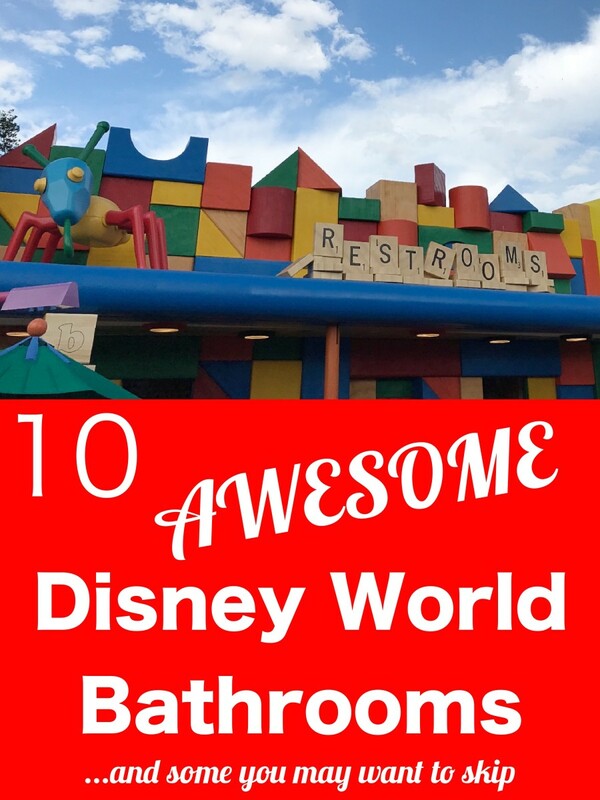 This is a fun ride for the whole family, especially if you are competitive. 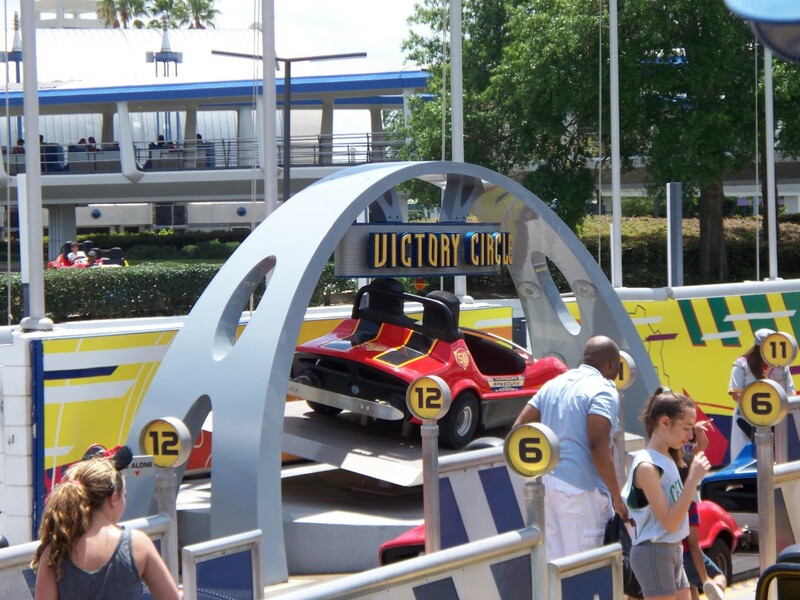 When the ride is over, you will be assigned a Star Command Rank depending on how well you did. We really enjoyed it. 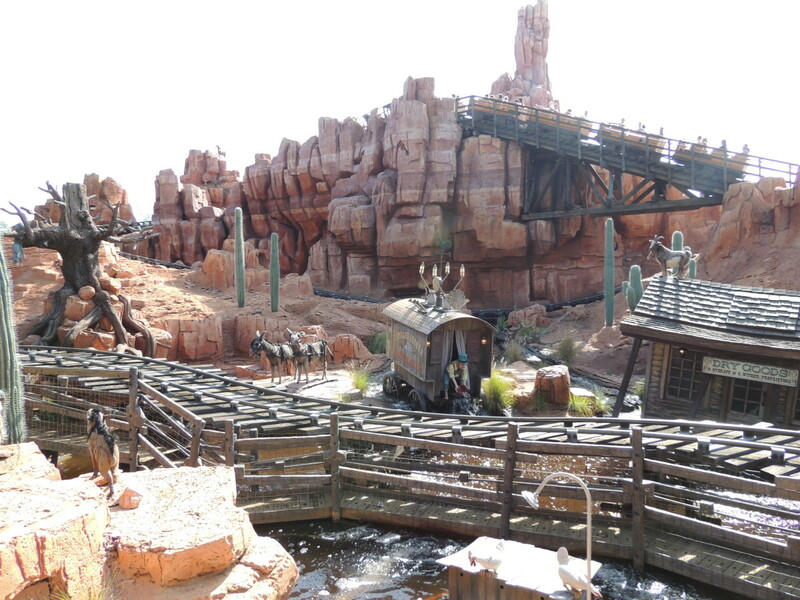 This ride does offer FASTPASS, but the regular line is not too bad if you catch it at the right time. 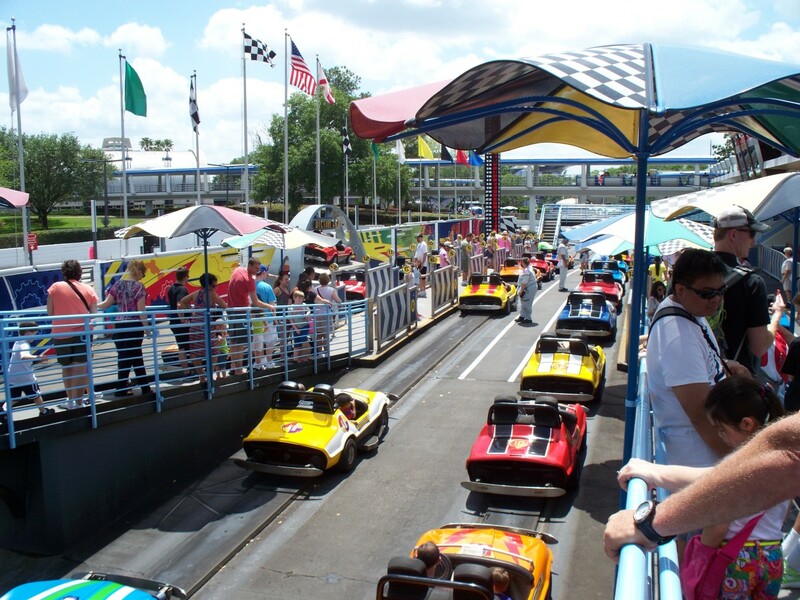 Tomorrowland Speedway gives younger kids the chance to get behind the wheel and race. Kids over 32” can drive with an adult and everyone else over 54” can drive a car by themselves. 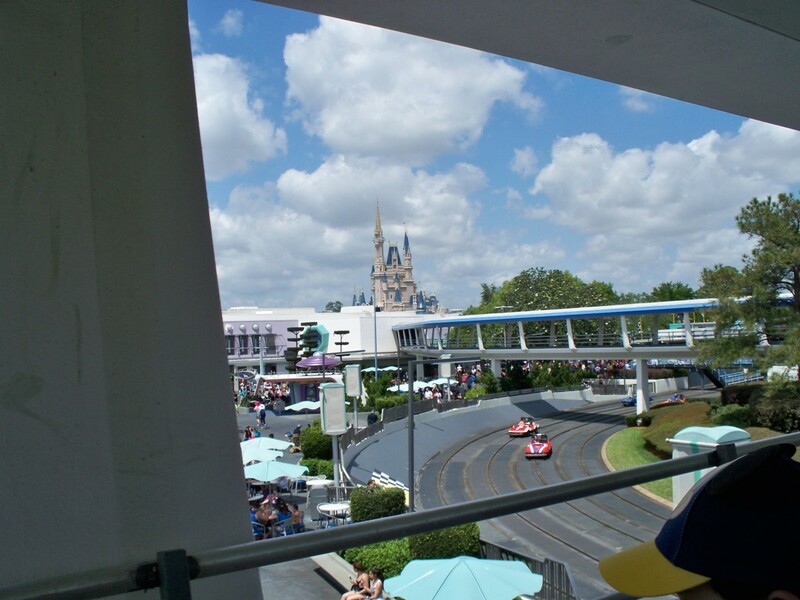 Tomorrowland Speedway is modeled after the Indianapolis 500 racetrack. It offers a guide rail in the center of each lane to help racers stay in their own lane. It is a fun ride, especially when your kids get to drive. 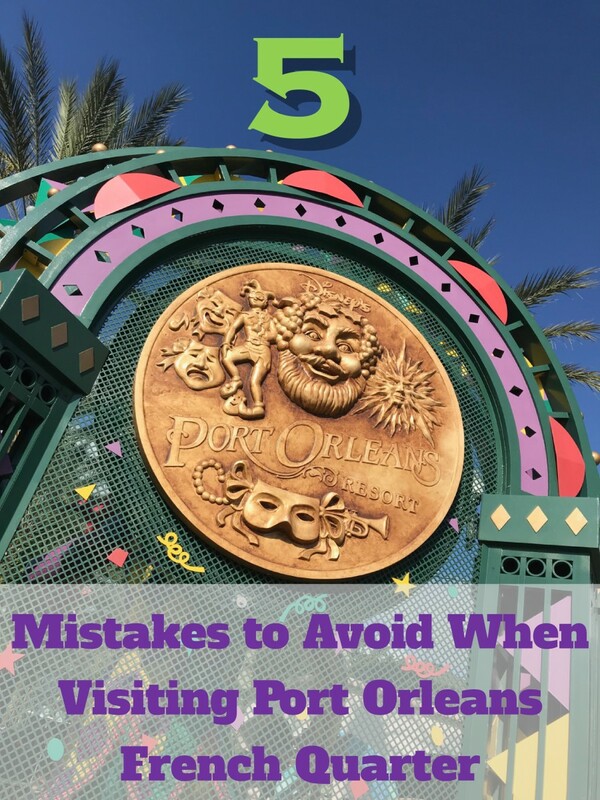 As you wind through the gates in line there is a spot where you have to decide whether to get in the right or left line. 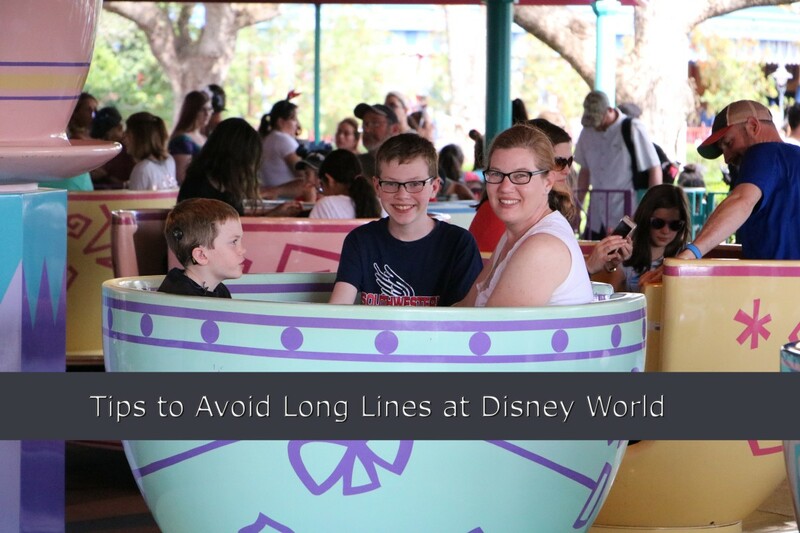 A good tip is if the lines are about equal, the right line is much shorter because the left line goes up and over the track and then comes down to the pit area. My boys really liked the Tomorrowland Speedway. One rode with me and the other with my wife. They had an absolute blast driving on this ride. 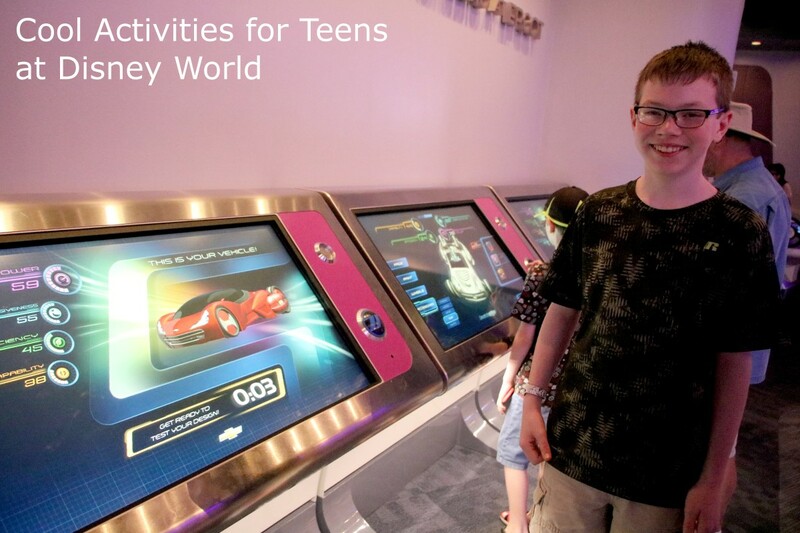 In my opinion, Tomorrowland Speedway is best suited for younger kids because the guide rail will not allow you to go around slow drivers in front of you. 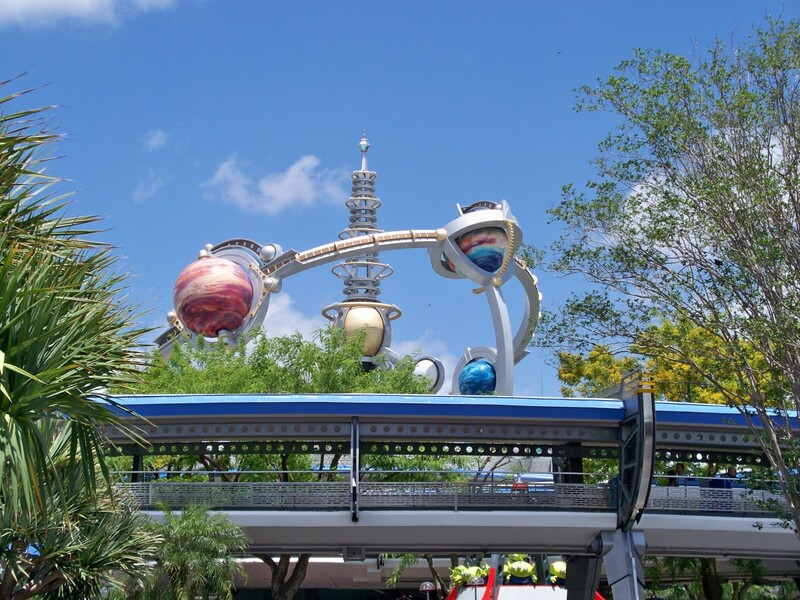 The Tomorrowland Transit Authority People Mover is a great place to go if you are hot and your feet need a break. 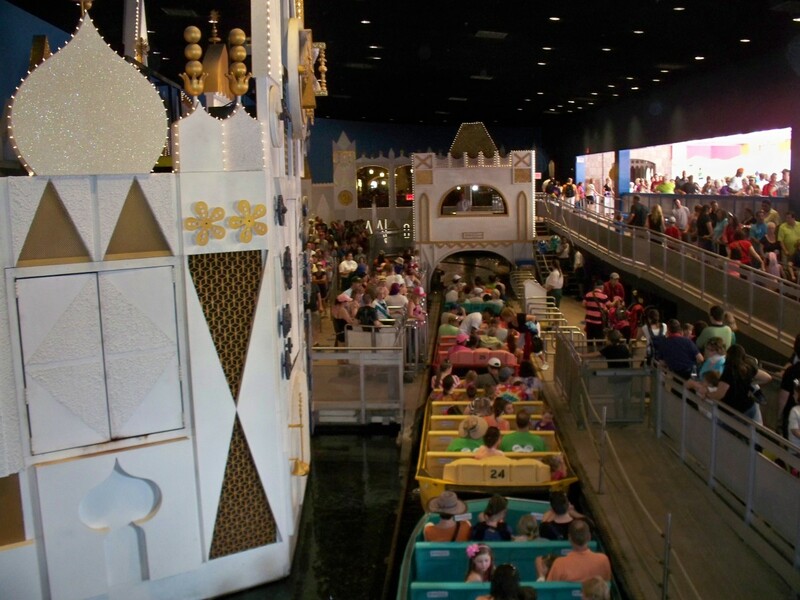 It is a nice, relaxing ride elevated ride that lasts ten minutes. 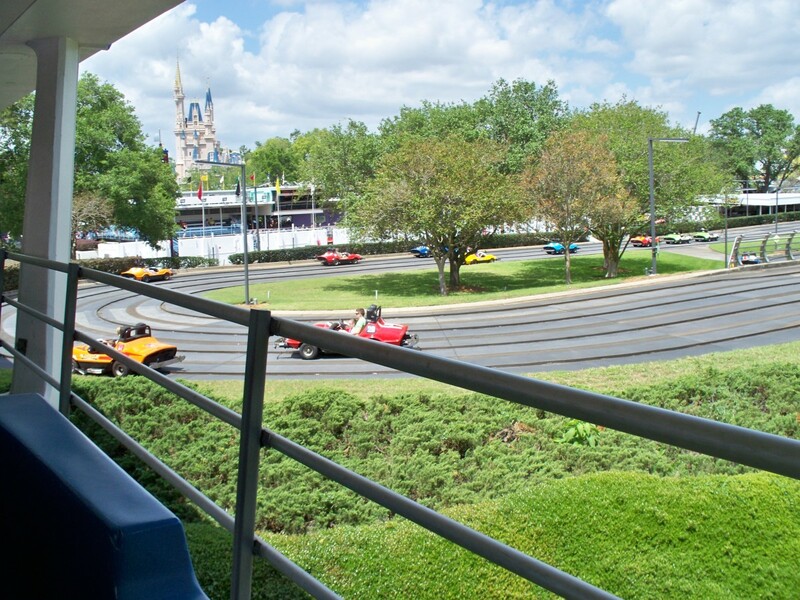 The People Mover slowly glides along and takes you behind the scenes of Buzz Lightyear’s Space Ranger Spin, Space Mountain, and more. It is a nice change of pace to all of the hustle and bustle below. 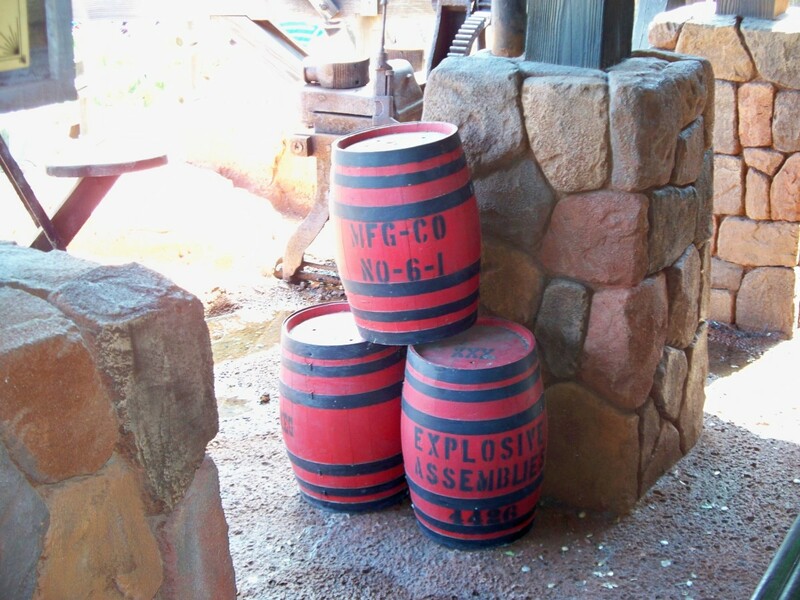 When my family and I visited Disney’s Magic Kingdom, I saw that Stitch’s Great Escape had only a 5-minute wait, so in we went without knowing anything about this ride. 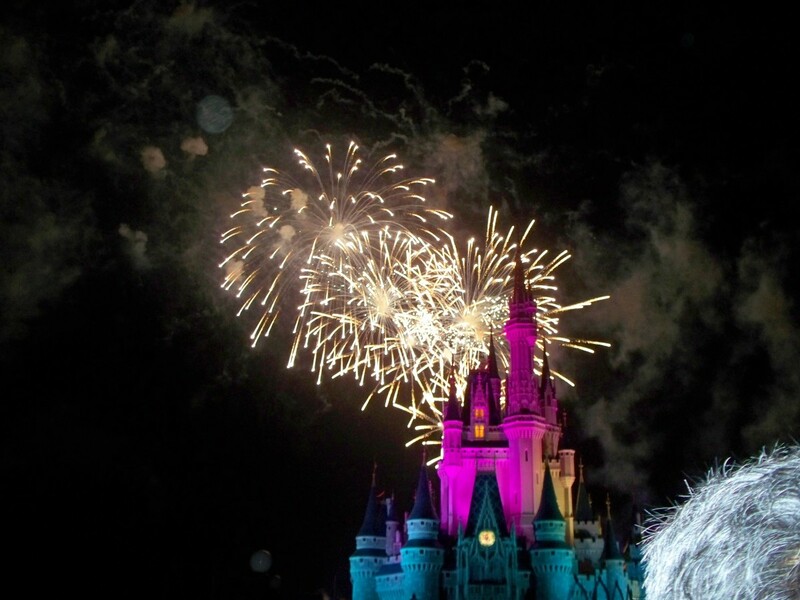 I am glad that we did because Stitch is very entertaining and offers a few surprises. 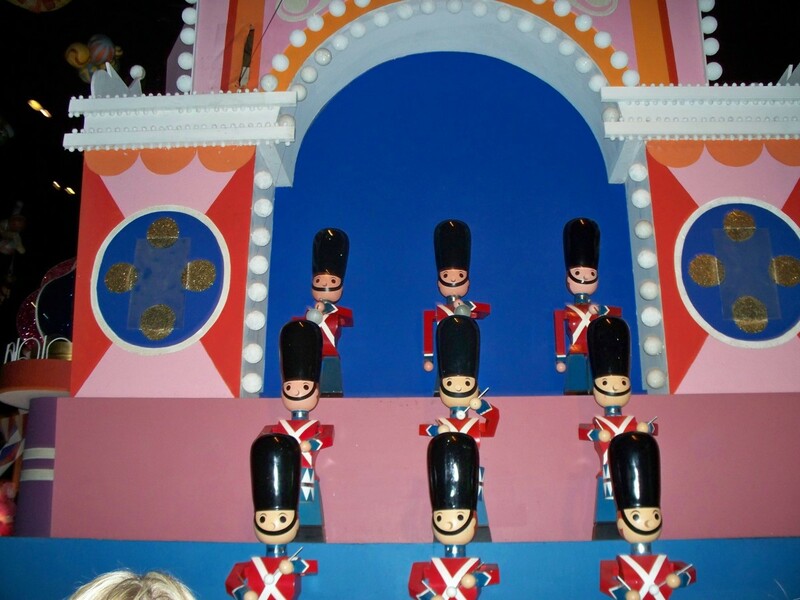 The premise of the ride is that everyone in the audience is a new recruit at a galactic prison center. You are to help with a high security prisoner’s transportation, which turns out to be Stitch. He then precedes to breakout of confinement, hence the name for the ride, Stitch’s Great Escape. 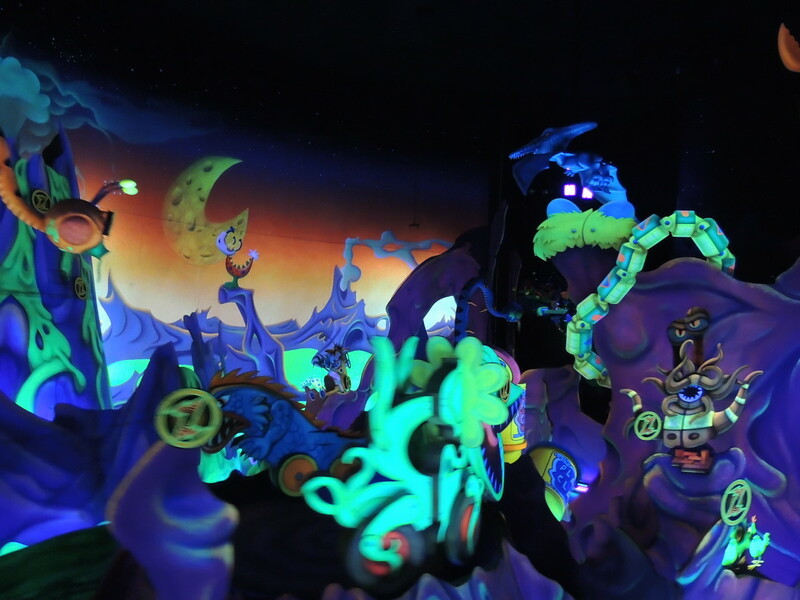 This attraction may be scary to younger kids because it is completely dark in the room several times with a few surprises. 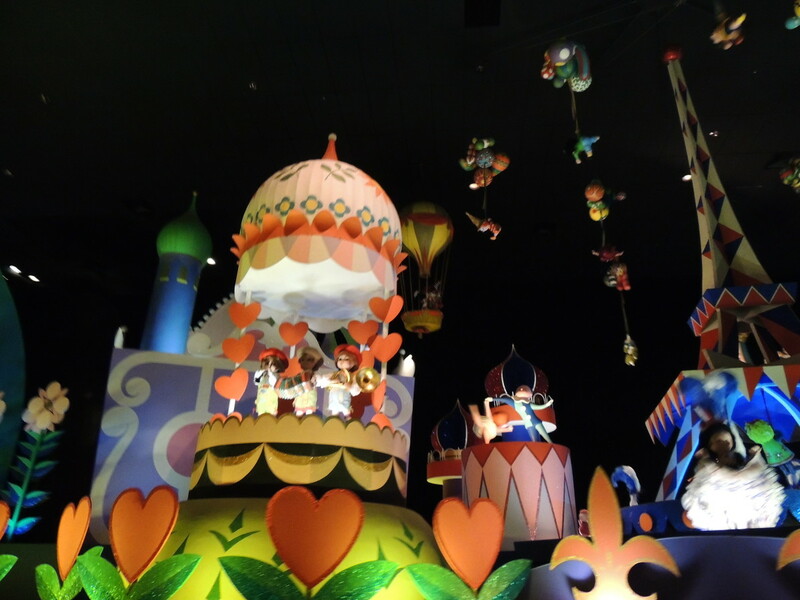 I place It’s a Small World in the top ten things to do because it is a classic Walt Disney World ride located in Fantasyland. 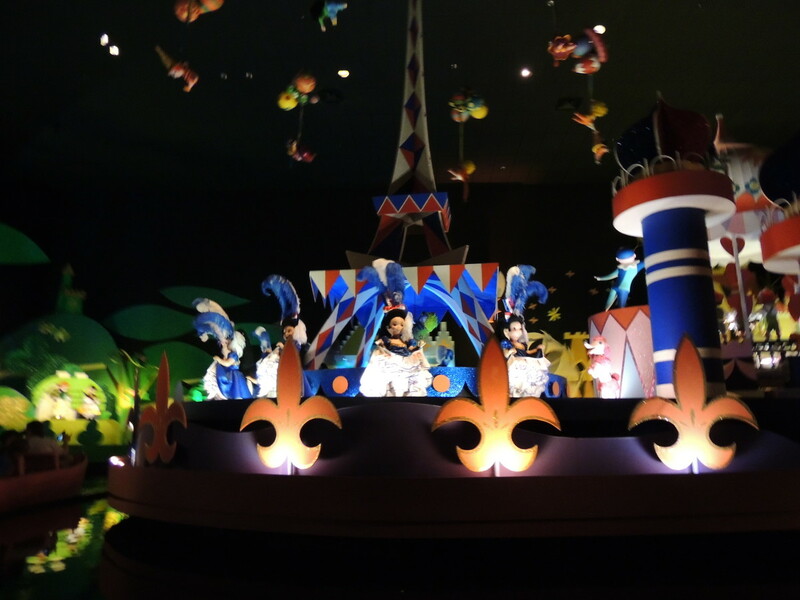 On this ride, you will sail past many of the different cultures of the world with the song, “It’s a Small World” blaring in the background. 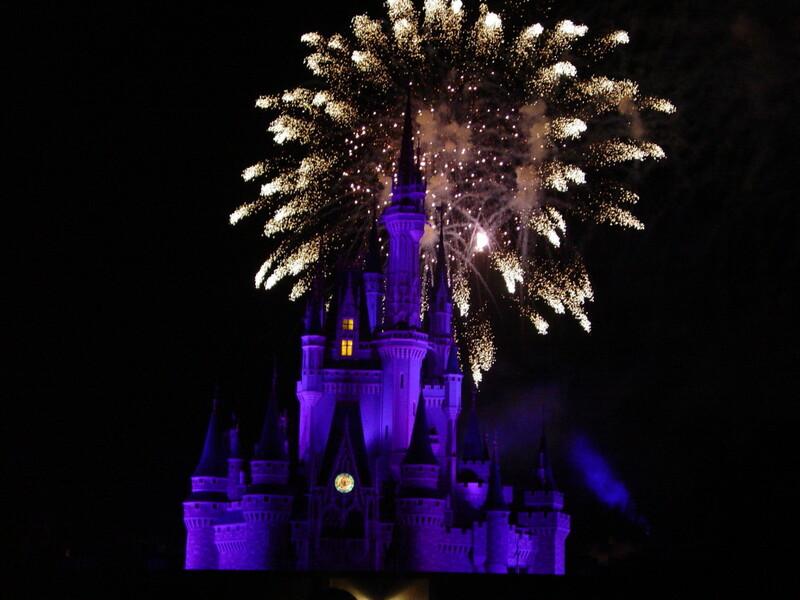 Disney did a great job in designing the display for each different country. 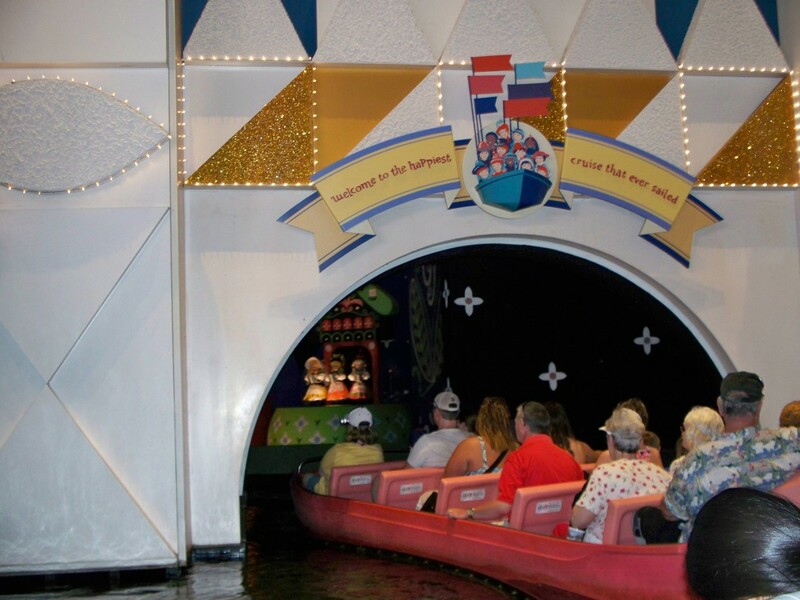 It is well worth one trip through there, any more than that you will go insane and have “It’s a Small World” stuck in your head for the next few weeks. I can still hear it in my head. 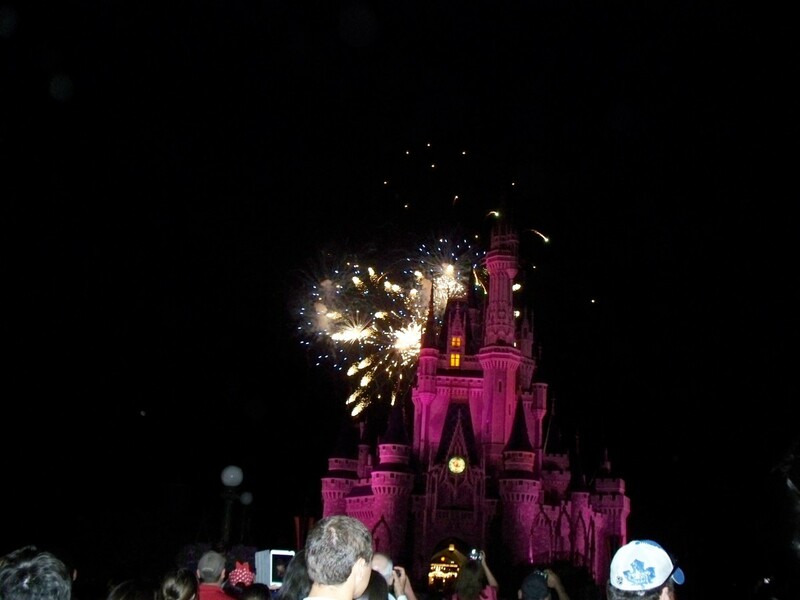 This was probably the highlight of our trip to Walt Disney World. 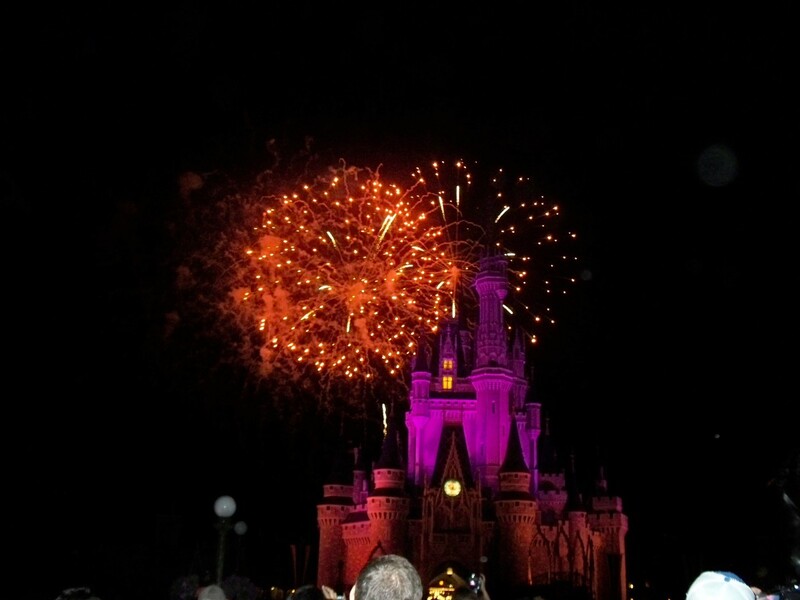 The Wishes Nighttime Spectacular is amazing. 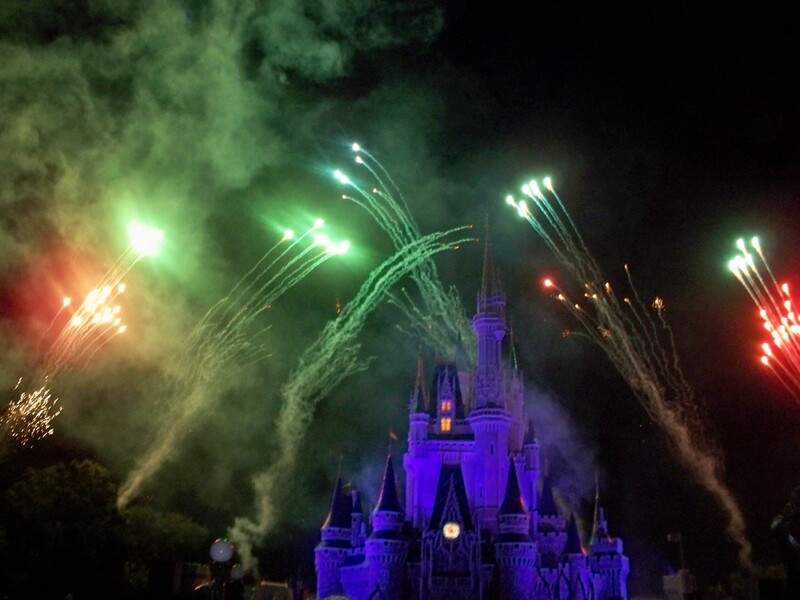 Cinderella’s Castle changes colors as fireworks that are set to music explode high above it. 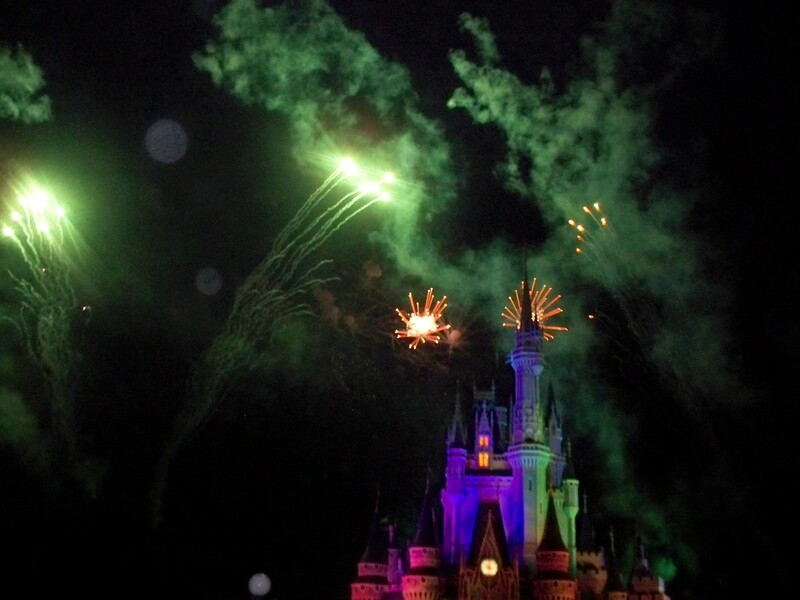 You can see Tinker Bell fly across the sky during the show. It is a very beautiful show from start to finish. 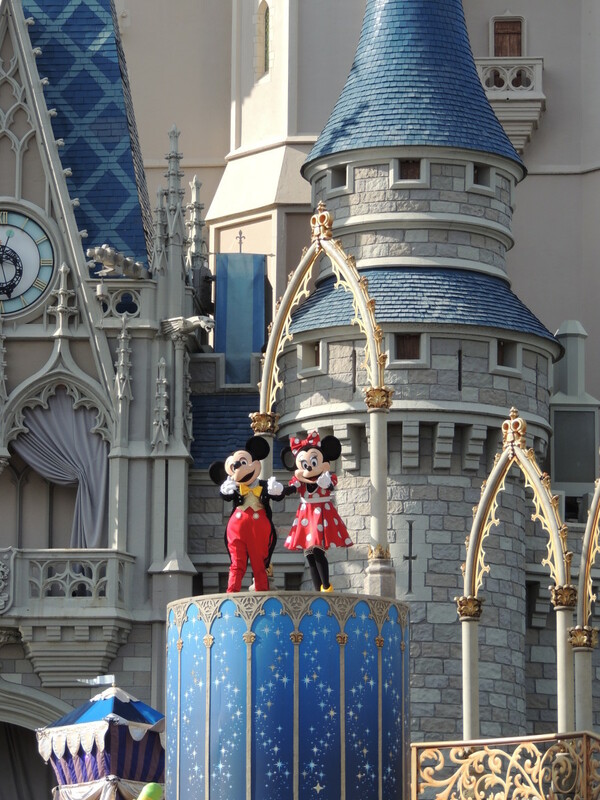 My advice is to pick out a spot early and plan to hang out for a few minutes afterwards because the castle area is extremely crowded. 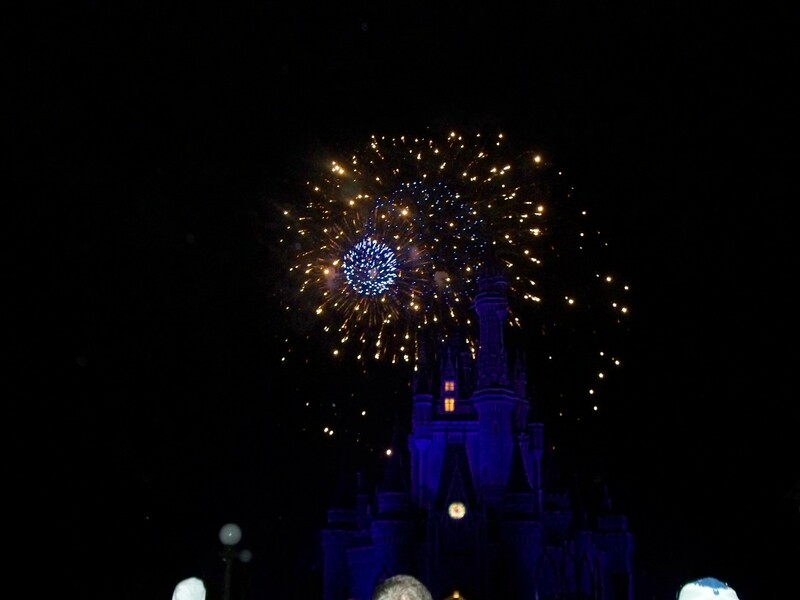 We found a spot in the middle of the circle island across the street from the castle. You could not ask for a better spot. 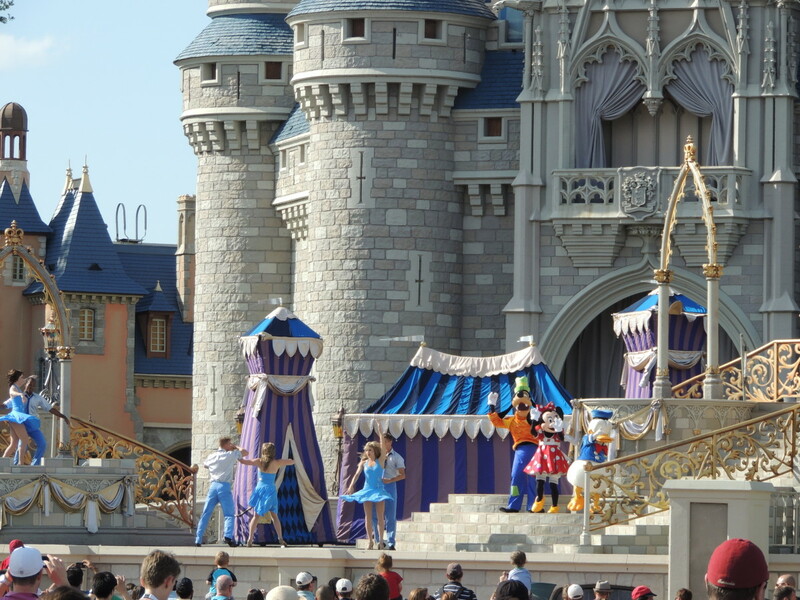 The show lasts for about 15 minutes or so. 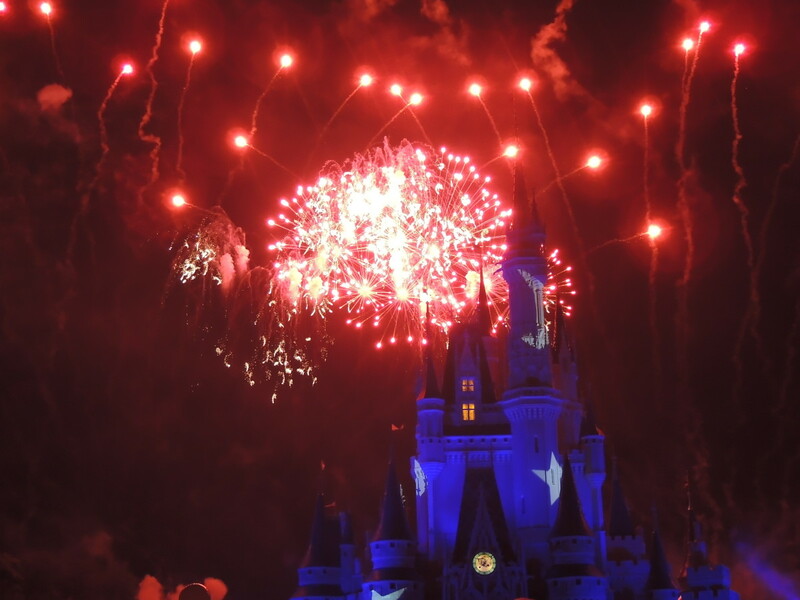 Disney knows how to do fireworks! 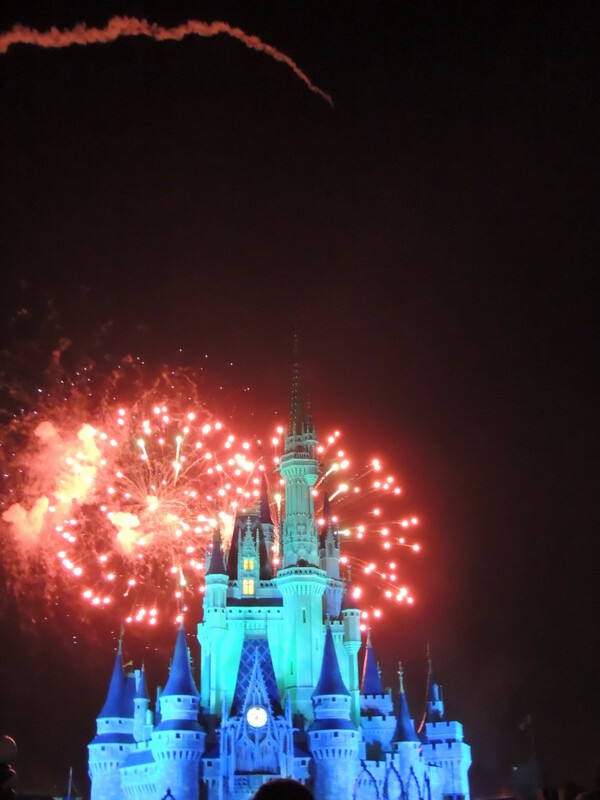 We really enjoyed our time at Magic Kingdom. We could have easily spent another day or two there. 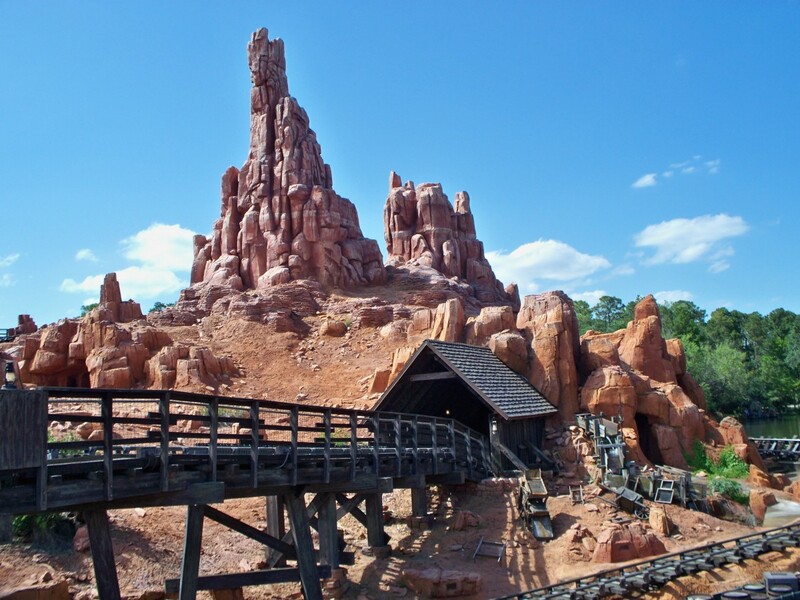 My favorite part was riding on the Big Thunder Mountain Railroad and on Buzz Lightyear’s Space Ranger. 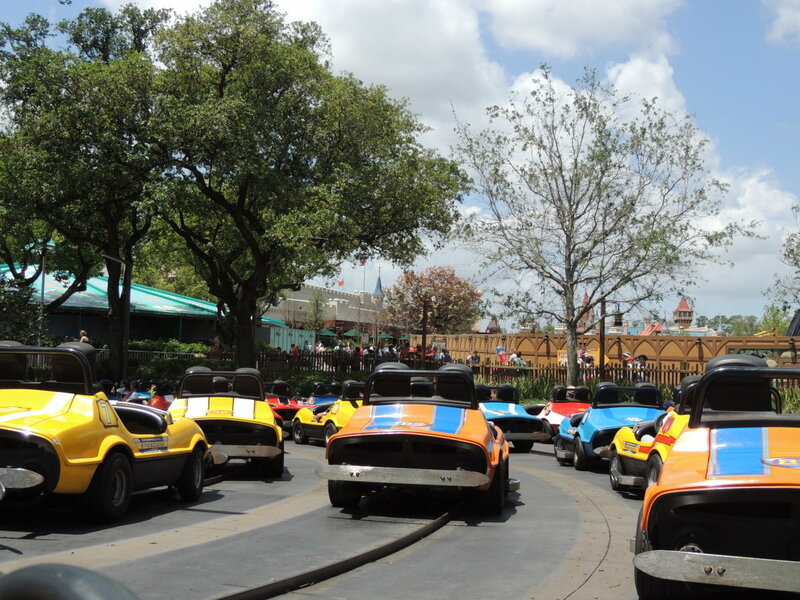 My kids enjoyed every ride that we went on, especially Big Thunder Mountain Railroad and the Tomorrowland Speedway. 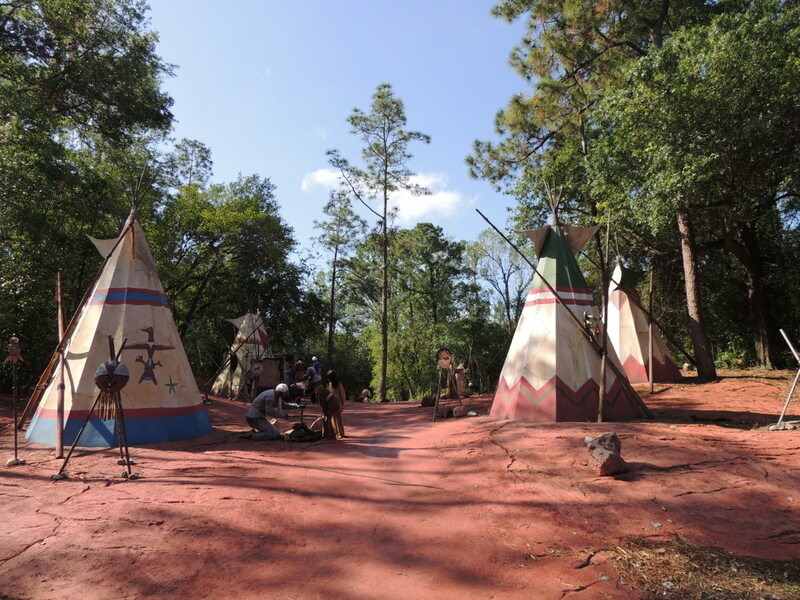 I really enjoyed the rides in the Frontierland area of the park and my favorite ride was the Big Thunder Mountain Railroad. 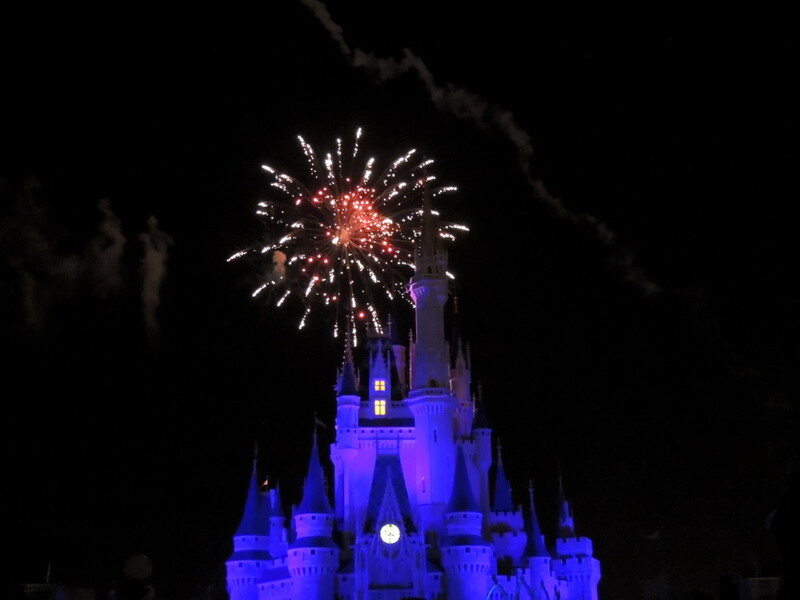 The highlight of our visit to Walt Disney World was the Wishes Nighttime Spectacular. 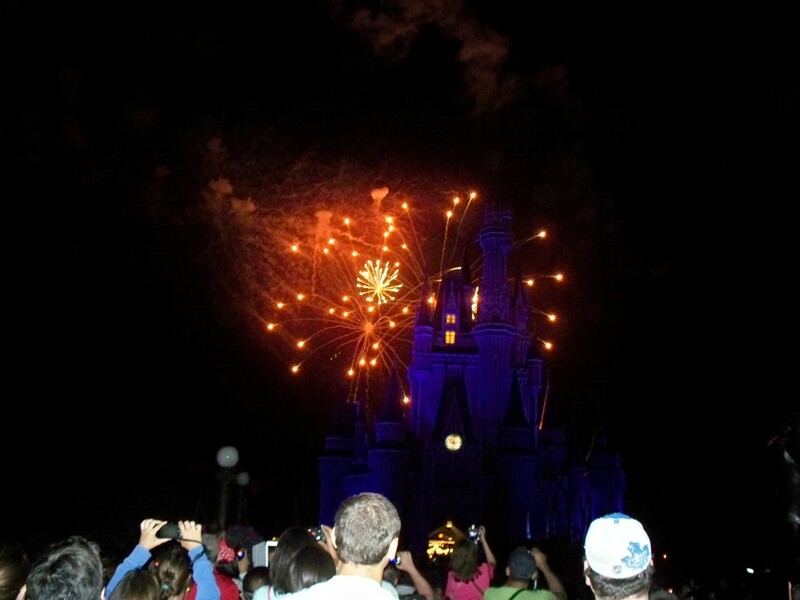 It was spectacular to say the least and a must see. 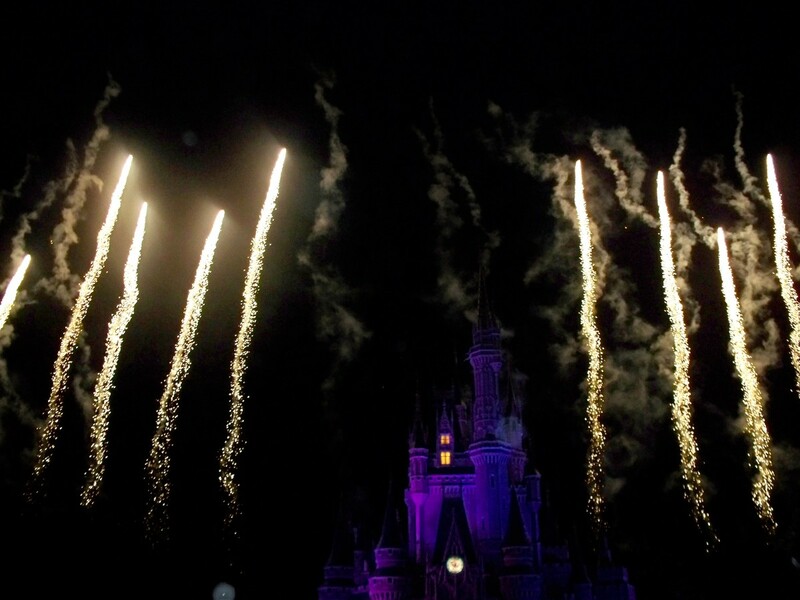 Have you seen any of the Firework Shows at any of the Disney Parks? Great hub, Eric. 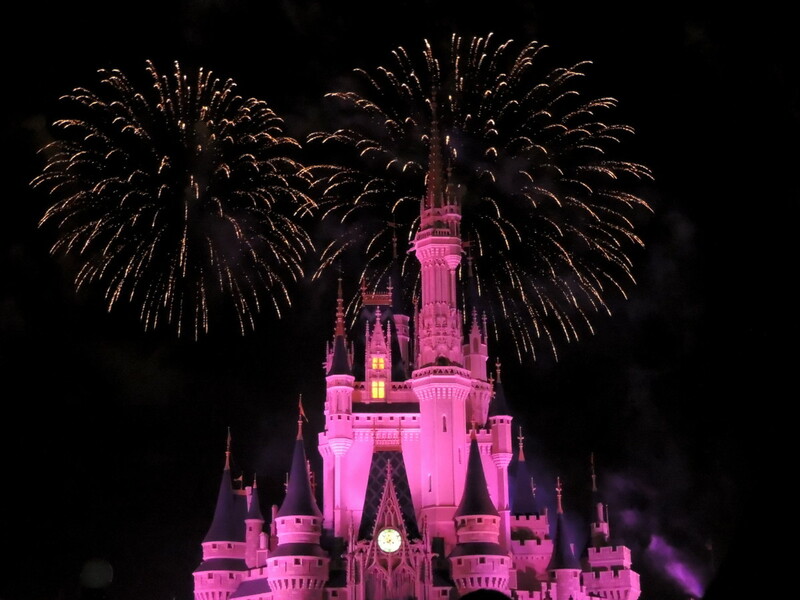 I haven't been to Disneyworld in a long long time. Very useful for planning family vacations. Voted up! Your hub is extremely useful. Good to know about the Fastpass. 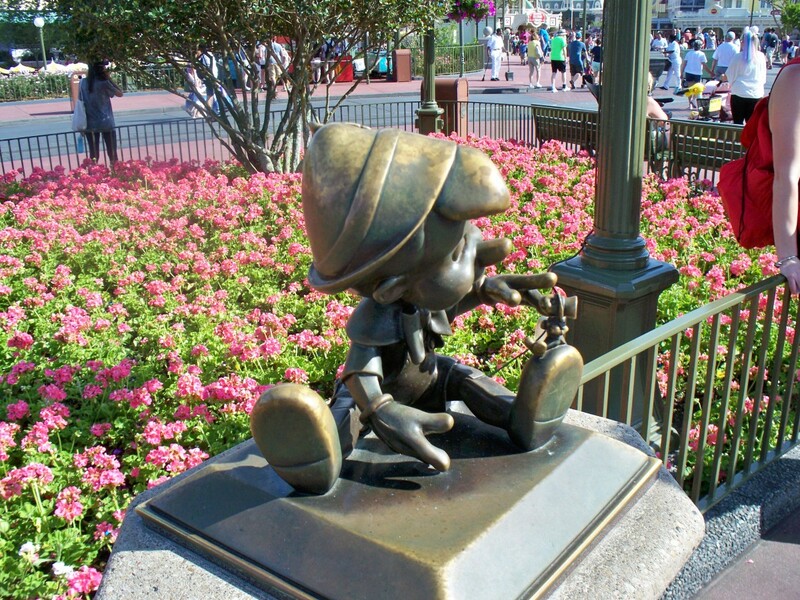 I grew up near Disneyland in Anaheim. I went there half a dozen times or so and loved every minute of it, from beginning to end. 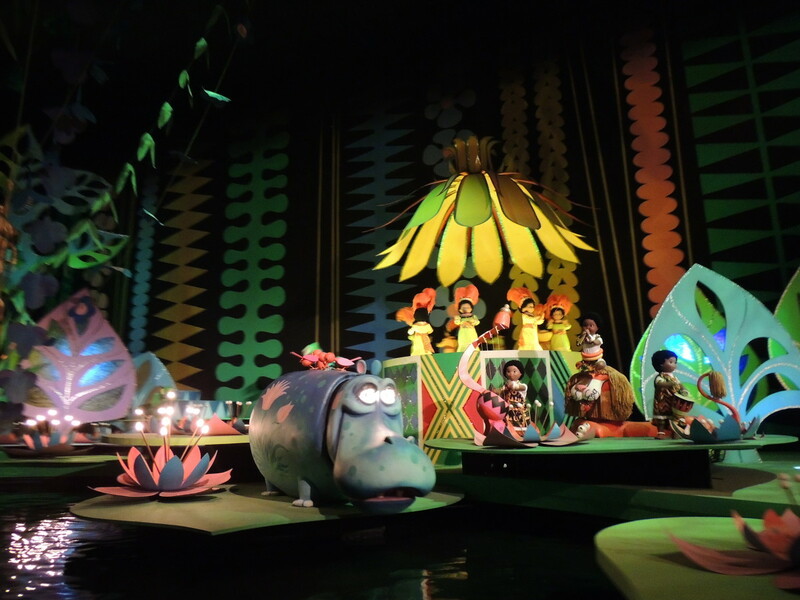 The only ride I am familiar with that you mentioned is, It's A Small World. 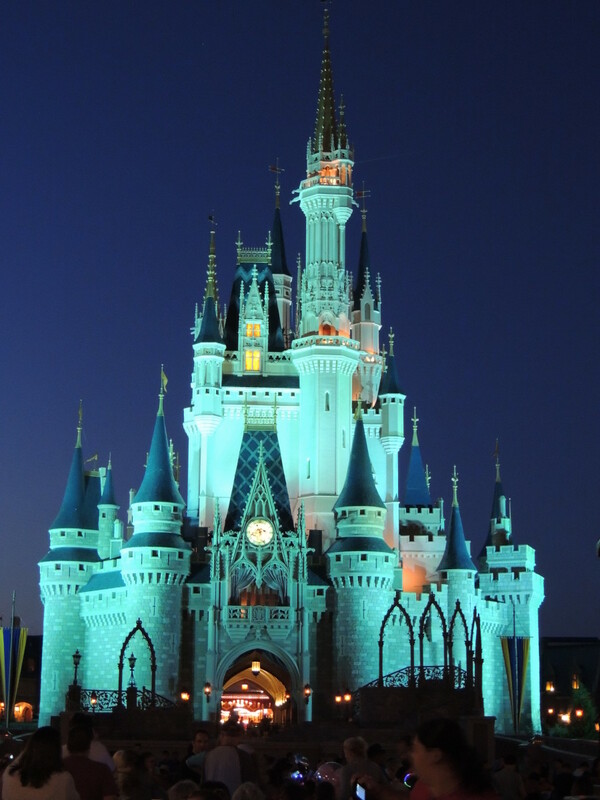 I've always wanted to go to Disney World, in Florida. Now I have a go-to hub when I finally get there. 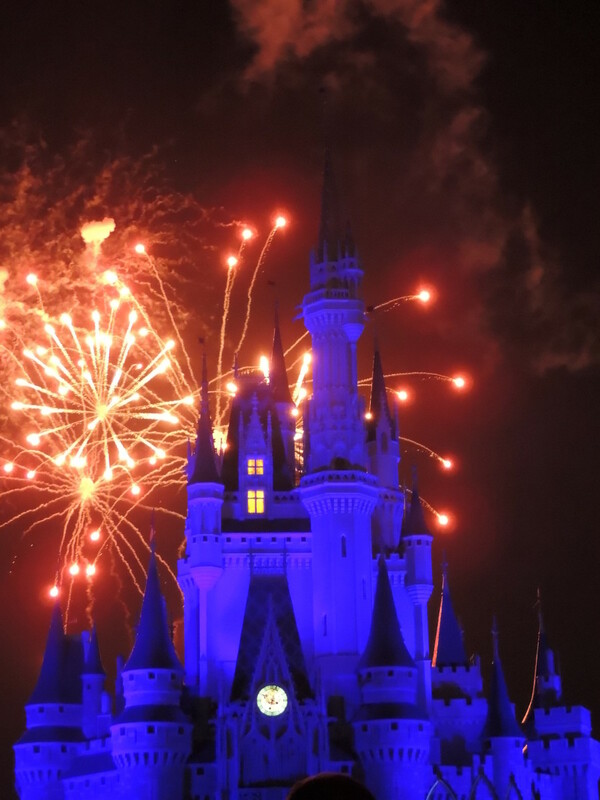 A very interesting and informative article on Disney's Magic Kingdom,loved all the beautiful photos and videos ! Well done ! I love your pictures! They add so much to this topic. Thanks for another detailed overview of a great vacation destination. This will be a useful resource for so many people. Thanks Lastheart! We had a really great time there. 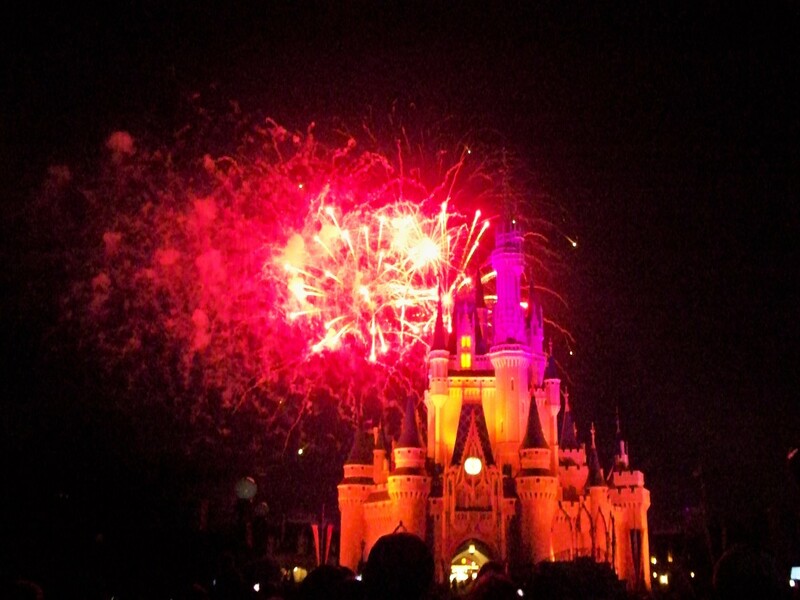 I have never been to Disney's Magic Kingdom because it has never caught my attention. After reading this hub, you bet that I will try to go. You have done a great job. I love the pictures and the way you wrote it. It really invites. They should pay you for this promotion.